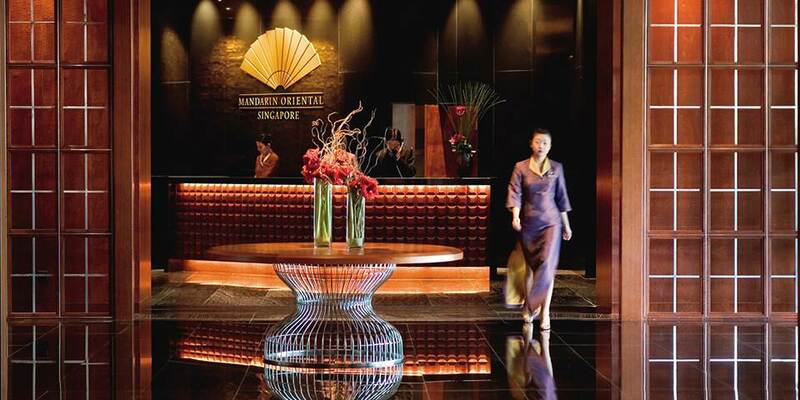 Shaped like Mandarin Oriental’s iconic fan, this stunning hotel is perfectly located just 20 minutes from Changi Airport. 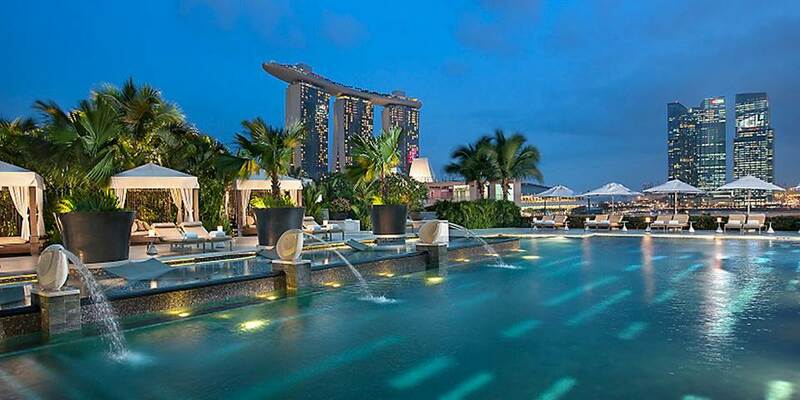 Wonderfully situated with fabulous views over Marina Bay, it is opposite the Esplanade with its Theatres on the Bay and just a stroll away from the old Colonial heart of Singapore, not to mention the luxury shopping of both Orchard Road and Marina Bay Sands. All of the 468 rooms and 59 suites are set around the magnificent atrium which rises to the very top of the building. Each of the deluxe and premier rooms is elegantly furnished combining subtle Oriental touches with luxurious contemporary comforts and all have floor to ceiling windows which offers views over the harbour, ocean or the ever changing city skyline. Marble topped desks and Asian artwork, enticing bathrooms with large baths and walk in showers all add to the ambience of quiet luxury so prevalent throughout this lovely hotel. The very spacious Mandarin and Ocean Grand rooms enjoy the same luxurious amenities, but are enhanced by the addition of a private balcony, on which to sit and watch night fall over the city or the South China Sea. For those seeking additional peace and privacy Club rooms and suites are the ideal choice. 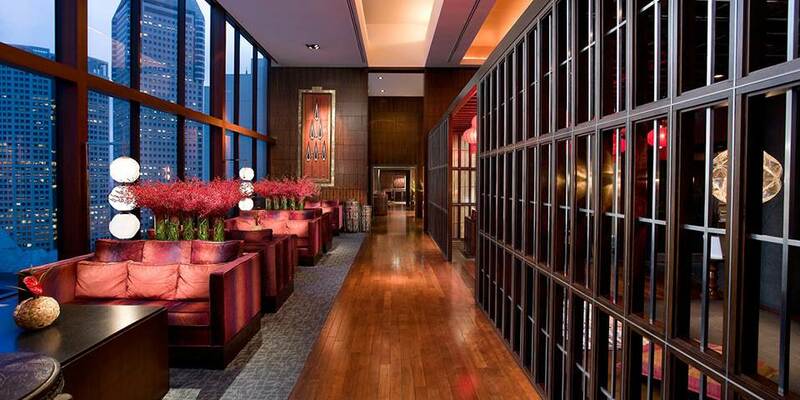 Located on the 19th floor the Oriental Lounge has a contemporary Asian feel and is a haven of tranquillity. Club guests can avail themselves of the many benefits which include champagne breakfast and afternoon tea, evening cocktails and canapés as well as complimentary in room wifi and guaranteed late check-out at 6pm.With all the facilities and views of the rooms, the suites offer the additional luxury of a separate sitting room and guest powder room with some also having a small patio or balcony. The ultimate in luxury and the finest in the hotel is the Presidential suite, with fine silk furnishings and oversized bathtubs; every little detail is an emblem of elegance. To dine here in one of the 5 restaurants is to take a culinary journey around the world. The relaxed convivial atmosphere of Dolce Vita is the place to enjoy the alluring flavours of authentic Italian cuisine, all with a uniquely modern twist. Cherry Garden, designed according to Feng Shui, is one of the most beautiful restaurants in Singapore where an eclectic menu of Cantonese cuisine is presented with modern flair. Offering a classic American dining experience, diners at Morton’s can expect a wonderfully relaxed ambience and a tempting menu featuring grain-fed aged beef, succulent seafood and classic steakhouse dishes, all served amongst décor that exudes a laid back sense of cool. Wasabi Bistro specialises in a delicious fusion of contemporary Californian and traditional Japanese cooking and features a sushi bar where guests can watch the chefs at work. The all -day dining restaurant, MELT, has a stylish cosmopolitan feel, serves delicious food from around the world, with chefs working in show kitchens to produce a multi-cultural feast. With both a la carte and buffet options MELT offers a truly unique dining experience. There is so much to experience in today’s vibrant Singapore; from the fantastic Singapore Flyer on the Bay to the beauty of the Botanic Gardens, home to the world’s best orchid collection, the historical centre and of course the shopping. At the end of a busy day, return to the Mandarin Oriental, where the stunning pool, surrounded by shady gardens and comfortable cabanas, is the perfect place to relax and chill out. For those seeking even more relaxation the Spa is a haven of serenity, a harmonious place of wellbeing in which to begin the journey to rejuvenation. It is a tranquil sanctuary in which to enjoy a range of indulgent treatments. 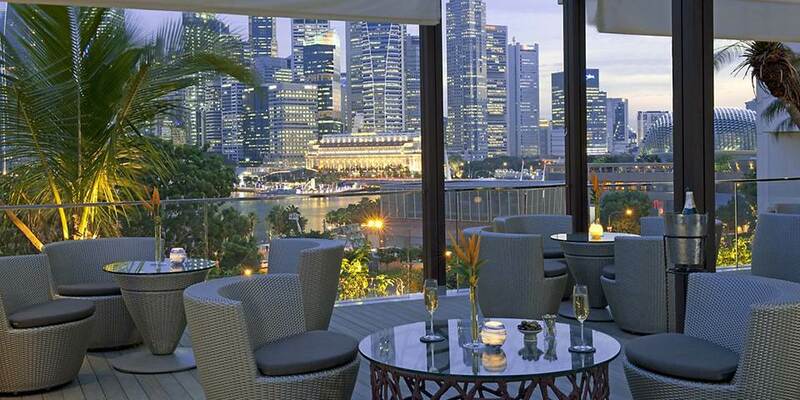 With legendary Mandarin Oriental service, this is the perfect base from which to experience Singapore.